Bureau of Reclamation 2012 Klamath Project Drought Plan, posted 4/7/12. * Klamath Project Biological Opinion by USFWS and NMFS, released 6/3/13. MEMO to BOR from USFWS and NMFS regarding Klamath Project 2013 Biological Opinion posted to KBC 6/3/13. PRESS RELEASE: Biological Opinion on Klamath Project Operations Delivered, USBR 6/3/13. Feds OK new balance for Klamath water, Modesto Bee 6/3/12. Prepared in cooperation with the Oregon Water Resources Department, 5/3/07. 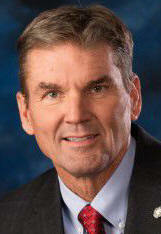 Oregon Senator Whitsett on Oregon Water adjudication, Part 1 of 2, 11/8/09, YouTube Video. Deputy Reclamation commissioner tours Klamath Basin, H&N 11/29/18. LaMalfa PRESS RELEASE - House Republicans Welcome Executive Action on Western Water. U.S. Congressman Doug LaMalfa, California's First District 10/19/18. "...Communities across California have also been devastated as senseless government regulations have mandated that billions of gallons of water be flushed out to the ocean and wasted..."
Judge urges state to act on Upper Klamath Lake water distribution, H&N 8/8/18. "...judge...ruled in favor of the Klamath Irrigation District...by urging the Oregon Water Resources Department to make a determination on the distribution of water in Upper Klamath Lake..."
Klamath County Commissioners float concept of new gauge in Wood River, H&N 8/8/18. "...The goal here is to make sure that we have captured all the water in the river so that we have accurate data for all the stakeholders..."
Tribal call restricts Chiloquin water use, H&N 6/13/18. "...residents in Chiloquin cannot use city water for anything other than human consumption following a call on water by the Klamath Tribes..."
Water, federal aid enroute to Klamath Project, H&N 6/3/18. "The Bureau of Reclamation’s Klamath Basin Area Office said that there is roughly 55,000 to 56,000 acre feet available to the Klamath Project during June, with a total of about 195,000 to 200,000 acre feet anticipated for the summer irrigation season..."
Water on the way to Klamath Project, H&N, 5/24/18. "...up to 3,500 acre feet is available for delivery to Klamath Project irrigators starting today and running through May 31 before deliveries start on June 1..."
PRESS RELEASE: Reclamation begins emergency dilution flows early Monday (May 7) in Klamath River; Water releases from Iron Gate Dam will continue through May 21; public urged to take safety precautions 5/7/18. "The emergency dilution flows will utilize approximately 50,000 acre-feet of water from Upper Klamath Lake..."
Walden to speed up relief for on-Project irrigators, H&N 5/2/18. "Bureau of Reclamation’s Klamath Basin Area Office Manager Jeff Nettleton also addressed the order issued by Orrick, with intentions to appeal it." Project water delivery discussed following judge's decision. Walden, BOR to address irrigators today, H&N 5/2/18. "A tentative time frame for Klamath Project water delivery of somewhere between June 1 and 15 was announced Tuesday by the Bureau of Reclamation...Part of BOR’s plan going forward, according to officials, is that the agency is considering asking for a total 14,500 acre feet of water from the Horsefly and Langell Valley irrigation districts. That amount, coupled with 10,500 acre feet borrowed from PacifiCorp reservoirs, could help irrigation districts make it through the month. 'They feel like that would cover KID (Klamath Irrigation District) and Tulelake Irrigation District through the month of May...' "
Irrigators await Federal court ruling, H&N 4/22/18. "...The local irrigation districts claim that the prevalence of infection of fish are “misleading” and have asked that the court stay the injunction. The delay is holding up much needed spring water for irrigators in the Basin, as water supply canals low and inactive..."
BOR PRESS RELEASE: Reclamation Responds to Klamath Water Users’ Motion in District Court, Outlines Proposed 2018 Operations, 3/24/18. "Reclamation’s proposal includes implementing a full surface flushing flow, augmented with non-Project water; forgoing an emergency dilution flow; and providing Klamath Project irrigators with a supply of 252,000 acre-feet – 65 percent of a full project supply – with deliveries commencing on April 19 with charging of main canal networks." Late water information sickening for users, Bill Heiney, letter to the editor of H&N, 3/21/18. Heiney is board member of Tulelake Irrigation District, and former board member of Klamath Water and Power Agency/KWAPA. "2018 feels like a repeat of 2001. Our current watershed conditions are similar to 2015, but we have no allocation, no start date, and no tools to develop a water bank...2001 was a year when I saw many homesteader veterans lose faith..."
(Klamath) Irrigators seek answers on water year, H&N 3/11/18. “Bill Heiney, a third-generation Basin irrigator and descendant of a homesteader:... 'When I bought my first piece of ground, my grandfather, he said, 'One thing you won't have to worry about is water,' ” Heiney said, referring a water pact his grandfather had from the U.S. government"
Irrigators gather in Reno to address the drought H&N 2/23/18. "Standing up among the some 200 irrigators and ag people, Hammerich said he believes water storage in the Klamath Basin is a “good deal.” But he wanted to know how storage benefits the Klamath Basin when it butts up against the Endangered Species Act and fish protection." The water just goes downstream, so what are we gaining?” Hammerich asked." OWRD, KWUA talk drought for Project water users, H&N 2/21/18. "Please keep in mind we have lake levels from a biological opinion that need to be met,” White added. “We have an injunction that’s been placed upon us where more water is required to go downstream as a result of litigation brought by downstream tribes last year.”...“Once the governor issues the drought declaration, then it’s after that time that people can come to the watermaster’s office here and apply for drought emergency permits,” said Kyle Gorman, of OWRD. Permits allow irrigators to use water where the primary source is unavailable, Gorman said, due to drought conditions..."
KWUA appeals to Tribes: Let's talk. OWRD, KWUA to talk 2018 irrigation, H&N 2/18/18. “They’ve felt meaningful, they’ve felt sincere,” White said Friday morning, of previous talks with Tribes representatives. “But then when these notices come out and we don’t get a heads-up that it’s coming out, we don’t have an opportunity to talk to them about it beforehand...It doesn’t feel like the community and the fish are in the best interest of the Tribes,” White said, "… and I hate feeling that way but that’s what it feels like. It feels like there’s something bigger than just the fish going on here." Klamath Project 2018 Contractors Meeting with KWUA, OWRD, Klamath County Feb 20, 2018, to "bring contractors of the Klamath Reclamation Project current information about the 2018 irrigation season...current hydrology, possible options available, and the process for taking advantage of those options is important information for district and on-farm operations..."
OWRD talks drought, water rights in Basin. Two (City of) Klamath Falls wells subject to call by project, H&N 2/11/18. Water Claims & Confrontations: (Klamath) irrigators say state shows lack of support, H&N 2/8/18. "...Though 2017 saw so much water in the Basin that multiple areas were flooded, the state still validated a claim on water initiated by the Klamath Tribes...Some irrigators claim that the Tribes have been making blanket calls on water without justification..."
Reclamation cancels water surges on Klamath River, H&N 6/1/17. Fish over farms — again? We have get back to the table, by Oregon State Senator Dennis Linthicum, District 28, guest writer for H&N 4/30/17 "...On April 13, the Klamath Tribes, who have senior instream rights, notified OWRD of a call on the Wood, Sprague and Williamson Rivers and tributaries, including Upper Klamath Marsh...Riparian areas are thriving and current flows are off the charts, making any talk of drought or shortage simply ridiculous... If the tribes call water during one of the highest water years on record, one can safely wonder if their goal is fishing, hunting or other heritage practices?..." KBC NOTE: The Klamath Tribal members voted to terminate their tribe. $220,647,000 was paid to the Klamath Tribes. Regarding their votes, "There were return receipts signed by each and every member of the Klamath tribe(Unconquered, Uncontrolled, by Carrol Howe). "One Klamath Indian, Edison Chiloquin...refused to accept the payment and demanded land instead..."
Regulation headed for Wood River, H&N 4/28/17. “Everybody above the Lower Williamson system, all the way up to Sprague and Sycan and on up into the Williamson itself are effectively regulated..." "snowpack ...ranges anywhere from 130 to 146 percent (in some areas) of average for the water year..."
Tribes Issue Water Claim, Ranchers Fear the Worst, H&N,4/23/17. "In April 2014, ranchers and the Tribes signed the Upper Basin Comprehensive Agreement. The ranchers agreed to retire 18,000 acres of land or 30,000 acre feet of water and do riparian repair work on the rivers in exchange for an allotment of water each year…At the end of February, the Tribes indicated to the ranchers they wanted to terminate the agreement..."
Oregon Rep Reschke seeks comments on three water bills, H&N, 3/21/17. " Installation of measuring devices on streams can cost tens of thousands of dollars. Daily maintenance can add up to thousands of dollars in additional labor costs. The annual reporting, and more often if the Oregon Water Resources Department requests, of 'water amount, rate, and duty' will add thousands of more dollars, annually, in time and additional out-of-pocket expense. 'The inclusion of a $500 civil penalty for each day of violation of the act...' "
Top-notch Deception by Oregon State Senator Dennis Linthicum - District 28, News Ticker Opinion, Wallowa Valley Online 3/21/17. Linthicum represents Jackson, Klamath, Lake, Deschutes and Crook counties. "If a Democrat House member gets his way, the Oregon Water Resources Department (OWRD) will load stiff economic, land and water management problems right into the lap of Oregon’s farmers, ranchers, cattle and dairymen..."
Water decisions are not making any sense, by former Klamath County Commissioner Tom Mallams H&N, 2/17/17. "The irony of this is so obvious. The rivers are at flood stage or very near it, and OWRD finally lifts the tribal call on the water...This applies to all uses on the listed water right, including stock water, and domestic...surface water, (rivers, creeks and springs), and ground water, (wells). Most all of the rights list irrigation as a listed use." "...A single judge and our federal government send extra water down the Klamath River for fish in the middle of a flood. You would certainly think a flood event would contain enough water for any fish needs, including flush or pulse flows. It is absolutely necessary that logic and true science drive the decisions critical to the survival of our local economies..."
Pulse flow curbed in wake of downstream concerns, H&N, posted to KBC 2/18/17. KBC note: Tribes and environmental groups sought court order to take 100,000 acre feet of water from Klamath Irrigator storage to wash a parasite out of the river on an already high water year. Tribes saw their homes might get wet. "In the Happy Camp area, where river water levels were reaching the highway, residents were getting nervous...Due to the danger looming downstream and terribly high water levels just from the run-off from the river and side hills, we decided to scale back." Reclamation pulls back on water releases, H&N 2/11/17. Bureau to release Klamath water pulse Friday, H&N 2/10/17. PRESS RELEASE: 2/9/17 - Statement From Representative Werner Reschke On Federal Court Decision Related To Klamath River.
! Water call made on the Williamson, H&N 11/23/16. "Water users in the upper Klamath Basin have received shutoff notices for surface water use after the Klamath Tribes called on their water rights earlier this month....Water users along the Williamson and its tributaries, as well as the Klamath Marsh, received notices directing them to cease stock and domestic use of surface water until February...this should only affect those diverting water from streams and rivers and said wells, which depend on ground water, are not affected." Feds asking public to weigh in on breaching Snake River dams, found on This West is Our West from Spokesman Review, posted to KBC 9/30/16. Upper Klamath Basin Nonpoint Source Pollution Assessment and Management Program Plan; Klamath Tribal Water Quality Consortium, Aug 16, 2016, Comments WERE due Sept 18, 2016. Who knew about this plan to eradicate agriculture and all the dams in the Klamath River Basin? received and posted to KBC 9/20/16. KBC NOTE: Participants are 6 tribes (including Karuk and Hoopa), many federal and state agencies, Trout Unlimited, The Nature Conservancy, Klamath Basin Rangeland Trust, California Coastal Conservancy, ODEQ, State and Regional Water Quality Control Boards, and dozens more; most of the agencies, tribes and environmental groups are "stakeholders" in the Klamath Basin dam-removal agreements. "Given the large volumes of water in the Klamath Basin, very large wetlands (on the order of thousands of acres or tens of thousands of acres) would be necessary to have basin-scale effect...", they want to get rid of "... water rights, water availability, and landowner willingness issues...", " TNC recently acquired approximately 4,000 acres adjacent to Agency Lake Ranch and Barnes Ranch which it is in the process of restoring back to wetlands", Wetlands, by the way, evaporates nearly 2ce the amount of water used by irrigated agriculture, "The Upper Klamath Basin Comprehensive Agreement...calls for inflows to Upper Klamath Lake to be increased by 30,000 acre-feet per year to be achieved by reducing the net consumptive use of water for irrigated agriculture," Roads that are no longer necessary would be considered for ... removal,"..."The Consortium supports reduced irrigation and improved grazing management as a method to reduce irrigation demand," "Once plans are developed for how to remove the dams and appropriate permits are obtained, the dams should be removed. The KHSA targets 2020 as the year in which dam removal would occur." Irrigators wrangle over Klamath Water Users membership, H&N 1/15/16. "The 2016 KID annual budget states the cost for KID irrigators is $238,168...'I can’t say I’m against the Water Users, but I can say that I’m not for them, in the fact that they don’t include all of Klamath County. 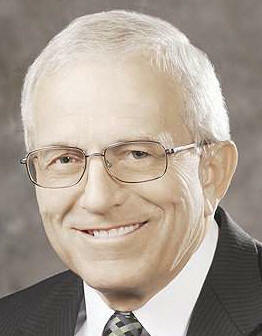 Every adjudicated, irrigated acre in Klamath County should be included,' said Oxley. 'If it’s not good for everybody, it’s not good.' Horsely agreed that Water Users should be open to more of the county’s farmers." KBC News notes on last Friday's meeting of Klamath Project irrigation districts to find water solutions in the aftermath of the failed controversial KBRA / Klamath Basin Restoration Agreement, and the resignation of Klamath Water User's executive director, posted to KBC 1/12/16"Tracy Liskey said we will have the same problems again if we leave out the off project irrigators; we need a basin solution. He said 90% of the problem with the KBRA was that all the meetings were in closed door executive sessions and people didn't know what was going on. 'If we don't address issues tearing us apart, we can't bring this together.' Luther Horsely, KWUA past president of the board, said they couldn't talk about the settlement because they were gagged. Brent Cheyne brought a list of solutions he said were necessary." 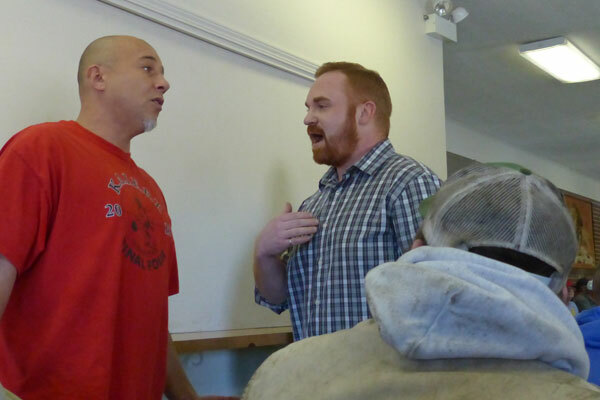 KBC Photo above is of TID/Tulelake Irrigation District Manager Brad Kirby, right, escorting a tribal member out of the building when he loudly interrupted this meeting of irrigation district boards. Klamath Basin Restoration Agreement Terminated on 12/31/15. "The Klamath Hydroelectric Settlement Agreement (KHSA) and Upper Klamath Basin Comprehensive Agreement (UKBCA) are still in effect, they did not terminate with the KBRA, but they also require federal authorization legislation and their implementation is interdependent with the now-terminated KBRA," by Ed Sheets, Klamath agreements facilitator. Water district board members meet Friday, H&N 1/6/16. Friday at 1 pm in Merrill, Klamath Basin irrigators meet to find solutions, "to bring community back together." "Under the (controversial KBRA) agreement, Klamath Project irrigators were slated to receive a substantial block of irrigation water from Upper Klamath Lake each year if certain instream flows were met in the lake’s tributaries..."
Reclamation Releases Scoping Report on Long-Term Plan for Protecting Late Summer Adult Salmon in the Lower Klamath River, BOR Press Release, posted to KBC 12/15/15. Irrigation district reverses course, re-joins Klamath Water Users Association, H&N, 11/25/15. "Board member Grant Knoll, who represents KID’s Zone 3, said he voted to dissolve the district’s relationship with Water Users because his constituents do not agree with the policies Water Users stands for..." 'I’ve polled them, and they want to pull out,' Knoll said." KID / Klamath Irrigation District leaves (Klamath) water users group, H&N posted to KBC 11/18/15. "Board member Brent Cheyne said KID irrigators pay Water Users about $238,000 per year...“It seems to me that some of the political goals of the Water Users contradicts what we are trying to do,” Bair said...."the money being paid to Water Users should instead be dedicated to paying for the multi-million dollar C Canal flume replacement. The flume delivers irrigation water to roughly 22,000 cropland acres in the Klamath Project." History of water in the Klamath Basin, by Oregon Rep Gail Whitsett 7/26/15. More water for Project irrigators, H&N 7/24/15. "...on July 19, Upper Klamath Lake was 62 percent full, with a volume of 317,395 acre-feet. Last year on July 19, the lake was only 45 percent full..."
In Central California - Calif. salmon get truck rides and more during drought; Fish taxi service in place to make sure young salmon survive the trip to the ocean, H&N 5/17/15. In Stanislaus River - "Last week, per order of your federal government, the California Bureau of Reclamation ordered the release of 15,000 acre-feet of water into the Stanislaus River. That comes to 4.8 billion gallons, enough water to supply 178,301 Californians for a year...Six fish needed saving. Not six species of fish; a total of six fish..."
LINK Reclamation proposes to enter into contracts with the Klamath Irrigation District, Tulelake Irrigation District, and Langell Valley Irrigation for the use of excess capacity in Klamath Project facilities for storage and conveyance of “Non-Project” water acquired or obtained for private use during the spring-summer irrigation season for a five-year period, from 2015 through 2019. State adopts drought rule; drinking, stock water given preference by commission, H&N posted to KBC 9/28/14. County, state tussle over water regulations; public works director to sit on water advisory, H&N, posted to KBC 9/20/14. < Klamath Falls City Councilman Bill Adams speaks about his frustrations with a proposed Oregon Water Resources Department rule on Thursday during a question and answer session at Oregon Tech. "Klamath County Commissioner Tom Mallams, also an irrigator, spoke in opposition to the proposed rule change. 'This is what I feel is nothing more than trying to put pressure on everybody trying to agree to a settlement that’s very iffy, lacks a lot of support...There is some support … because they have been pushed into a corner, and a gun to their head, as far as I’m concerned, by Oregon Water Resources and our federal government. Water resources in the past has been the champion for irrigated agriculture...I feel they’re one of our worst enemies, and that’s very disheartening.' Mallams also read a statement from State Rep. Gail Whitsett on her behalf: 'We find no viable reason or justification for this permanent rule to apply only to the Klamath River Watershed in Klamath County,' read the statement." Klamath salmon in danger; additional flows intended to prevent fish die-off, H&N, posted to KBC 9/21/14. "The Bureau of Reclamation (BOR) began releasing additional flows from Trinity Reservoir via the Lewiston Dam Tuesday....We must, however, take all reasonable measures to prevent a recurrence of the fish losses experienced in 2002" KBC NOTE: Water was shut off to Klamath Basin family farms the summer of 2001. After irrigation was restored to irrigators in later, tribes, U.S. Dept of Fish and Game, and environmental groups focused on obliterating farming in the Klamath Basin, blamed Klamath Farmers for fish dying in 2002, 170 miles downstream. Fish Scientist David Vogel (see #'s 19, 22, 23 and 29) explained why sending high flows of warm water from Iron Gate dam was lethal for salmon in the already warm river. According to a Scientist conference in Klamath Falls in 2004, effects of the 2002, 500,000-acre Biscuit Fire smoke were never studied in relation to fish dying that fall. Neither were considered effects of drainoff from drug labs on the Klamath River. KLAMATH COUNTY - New drought water ruling proposed by officials, H&N 8/16/14. "The public comment period ends at 5 p.m. Sept. 19...A new rule that would allow water for human consumption and stock watering during drought in Klamath County has been proposed by the Oregon Water Resources Department (OWRD)." Agency reconsidering water for Klamath salmon, H&N 8/16/14. "Tribal members were going to Sacramento on Tuesday to hold a vigil outside Bureau offices, she said. Since the 1960s, some water from the Trinity has been pumped over the mountains to the Central Valley of California for irrigation. Sierztutowski said some of those irrigation districts have been denied water this year due to the drought." BOR, PacifiCorp reach agreement on reservoir releases H&N, posted to KBC 8/16/14. "According to KWAPA Executive Director Hollie Cannon, the combination of consecutive drought years and new rules in place to protect endangered fish in the Klamath watershed means irrigators are given less surface water, forcing them to turn to groundwater..."
Oregon's expansion of regulations of surface and groundwater use, by Senator Doug Whitsett 8/13/14. "What the Department is not making clear to the public is that their proposed permanent rules make substantial and critical changes to the existing emergency rule. The rule being proposed extends the Department’s authority beyond its regulation of surface-water, to include the regulation of groundwater under the preferential use of water for human and stock-water during drought. This rule appears to be another attempt by the Department to use its rule making powers to extend its authority to regulate surface water under the Klamath River Adjudication, to include the regulation of groundwater." On April 21, the U.S. Environmental Protection Agency (EPA) and the U.S. Army Corps of Engineers (Corps) jointly released a new proposed rule – Definition of Waters of the U.S. Under the Clean Water Act – that would amend the definition of “waters of the U.S.” and expand the range of waters that fall under federal jurisdiction. The proposed rule, published in the Federal Register, is open for public comment for 90 days, until July 21, 2014. Why Willamette Valley farmers should watch Klamath Falls' water rights fight, Statesman Journal, posted to KBC 5/10/14. "The agency identified 130 wells (including Mallams) that could interfere with surface water sources, meaning he and other farmers could lose both sources of water this summer. 'You virtually cannot prove there isn’t interference because of the way they did the modeling,' Mallams said. 'I am considered guilty unless I prove myself innocent and I cannot prove myself innocent.' 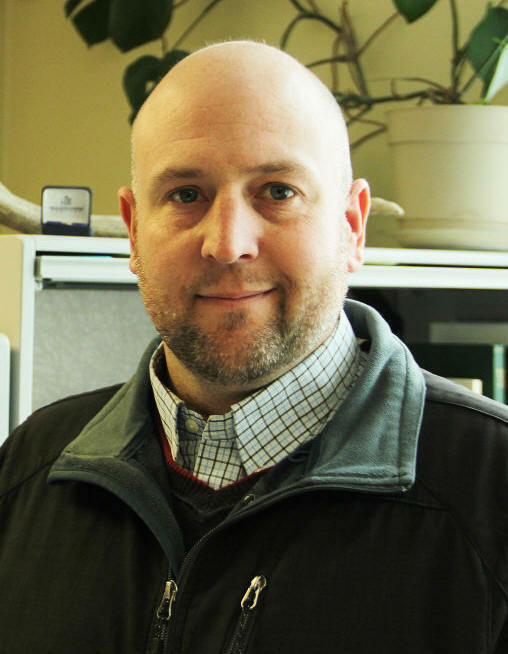 For Whitsett, that means the OWRD can do the same thing to any watershed in Oregon." Zero acre-feet of water; East Side Klamath Project irrigators to see little or no water; idling funds also are in short supply, H&N 4/15/14. "Moxley said the newly designed pivots can reduce his irrigation water use up to 50 percent. But last week, the Bureau of Reclamation (BOR) announced that irrigators, who rely on water supplies from Clear Lake Reservoir, will get zero acre-feet for the 2014 irrigation season." KBC NOTE: When Klamath Reclamation Project was built, Clear Lake was a meadow. Suckers do not live in meadows. To create farmland, water was stored in Clear Lake (meadow) to so it could be used for irrigation if needed. The U.S. government made it into a bird refuge and decided to create habitat for suckers who historically did not live in this meadow, mandating lake levels and denying access in most of that area to the public. Klamath Basin water outlook, recent rains just a drop in the bucket, H&N, posted to KBC 2/19/14. Water Interference Bill, legislative update by Oregon Rep Gail Whitsett, posted to KBC 2/21/14. "....Over 130 Klamath Basin farmers and ranchers have been threatened by the OWRD to have their irrigation ground water wells shut down as soon as April 2014. This is in addition to the same ranches having all of their surface water called on, and shut off, by the Klamath Tribes (as the newly adjudicated senior water right holder) and the OWRD in 2013. The adjudication provides absolutely no direct statutory control over ground water, but the OWRD is trying to tie the two water sources (ground and surface) together in an attempt to gain control over all of the ranch and farm lands (through their water) in certain areas of the Basin, without going through the process of defining a “Critical Groundwater Area”. OWRD does not want to go through this process as there really is not a shortage of ground water in this region..."
Drought Declared, Four Oregon counties to receive state relief, H&N 2/14/14. * The Oregon Water Resources Department is no longer a friend of agriculture 8/1/13 by Senator Doug Whitsett: "More than 250 water users holding Allottee and Walton water rights dating to 1864 are being forced to turn off their irrigation water...The Department’s final determination gave the Tribes such a huge amount of water that virtually no additional water will be available for irrigation in a normal year..."
In Upper Klamath Basin, irrigation water shut-off begins for some ranchers, Oregonian 6/12/13. Klamath Tribes and federal government put out historic call for water rights in drought-stricken Klamath Basin, Oregonian, posted to KBC 6/12/13. "The Klamath Tribes and the federal government called their water rights in southern Oregon's Klamath Basin for the first time Monday, likely cutting off irrigation water to hundreds of cattle ranchers and farmers in the upper basin this summer...Some 300 to 400 irrigators – and 70,000 to 100,000 cattle – could be impacted, upper basin water groups estimated. State officials said shut offs could begin as soon as Wednesday, and would be calibrated throughout the summer as river flows and weather dictate." 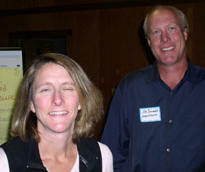 KBC NOTE: Some quotes in above article are by KBRA supporter Becky Hyde, former board member of Sustainable Northwest. SNW founder and president is Martin Goebel. Goebel was director of World Wildlife Fund, which is partner of United Nations Foundation with George Soros and Ford Foundation. Goebel is Trustee for Summit Charitable Foundation owned by Roger Sant. The company in a five year span granted Sustainable NW $342,875. The funds come from Sant's company AES, worldwide developer of power in 29 countries, power "from coal to gas to renewables such as wind, hydro and biomass." Hyde is at the closed-door KBRA negotiation table. The KBRA would destroy 4 hydroelectric dams on the Klamath River and fish hatchery producing millions of salmon, give land to the Klamath Tribes, put full support behind the Endangered Species Act, downsize agriculture by 25% or more, and give new water rights to bird refuges, along with planting endangered fish in warm shallow Klamath Lake and mandating their success. Drought, disputes put water at premium; uncertain supply, delayed opinion point to tough year, H&N 6/2/13. Agency looks to curtail water usage, (Klamath) Group is preparing for drought, H&N, posted to KBC 5/9/13. Upper Basin water shutoffs likely, Low water flows a troubling sign as state directors visit Klamath, H&N 5/7/13. "Upper Basin contestants have filed stays against various instream claims, Upper Klamath Lake levels, and the Klamath Project’s consolidated claim"
Oregon needs action on water, Capital Press, posted to KBC 8/24/12. Langell Valley faces limited water supplies, H&N, posted to KBC 8/22/12. "The Oregon Water Resources Commission is scheduled to adopted the Integrated Water Resources Strategy at their August 2 meeting. The meeting is being held at the Water Resources Dept Conference Room 124 725 Summer St NE in Salem. The discussion is scheduled to begin at 1:00 pm. Water for Life does not support adoption of the Strategy. It is our position that it is not a strategy but an opinion piece and policy statement. The link to the complete document is below. You are encouraged to attend the meeting and let the Commission know your thoughts on the document." Well, it looks like the Karuk Tribe and Klamath River Keepers are at it again, PieNPolitics 6/5/12. "Late last week while the areas food producers were preparing for the 2012-farming season, the Karuk Tribe, in coordination with the Klamath River Keepers, went public with an extremely biased and highly controversial groundwater model of the Scott River aquifer." Plan in place to ease moderate drought, basin irrigation officials say idling will save 10,000 acre-feet of water this summer, H&N 5/31/12. "The first land idling period begins June 15 and the deadline to apply is Tuesday, June 5." 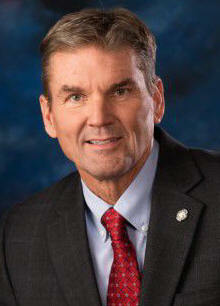 Oregon Integrated Water Resources Strategy, by Oregon Senator Doug Whitsett 5/31/12. "...IWRS advisory committee... appear to have placed little emphasis on the development of additional storage for current and expanded agricultural use. Implementation of those public policies can only serve to diminish the supply of water available for irrigation." Latest water level drop at Copco, by Robert Davis, 5/14/12. "NMFS requested a higher than normal water flow out of Irongate, above 3000 cfs. Flows provided from Klamath Lake were about 2750 cfs. ...The shortage was made up from Copco Lake resulting in a drop in lake level of about 7 feet...It is evident there was no monitoring of the process to assure any request for change would not cause damage or hardship for the other sections of the project." The Big Picture part 2, by Siskiyou County Supervisor Marcia Armstrong, posted to KBC 5/14/11. Armstrong documents how the UN and ICNU, with designated roadless areas and wilderness areas, were formed to shut down human use of land and resources in the Klamath River Basin. HERE for the Big Picture part 1. The Big Picture Part I, by Marcia Armstrong, Siskiyou County Supervisor, posted to KBC 5/11/11. "I was struck by a sentence in the recent “chinook expert panel” report commissioned for the dam removal studies. It said: “Furthermore, the refuges should be managed for fish and wildlife versus agriculture if the basin management objective is rehabilitation of fish species.” Just when did the citizens of Siskiyou County agree to an over-riding regional “management objective”of fish rehabilitation? Just who signed the orders relegating us to serfdom, putting our private property and livelihoods in the service of fish production and those who harvest fish? What happened to our own economic priorities – to the development of our local natural resources to create food, fiber and mineral products for the benefit of our families, communities and nation." River flows to increase for fish, H&N, posted to KBC 2/10/11. "Flows will be three times their current cubic feet per second rate, going from 1,600 cfs to 5,000 cfs for six hours, and then decreasing to 1,300 cfs." Reclamation Announces Flows from Iron Gate Dam to Increase on Wednesday, February 9, BOR 2/7/11. " 'I am confident that we will have the lake as full as possible for this time of the year, and we are on track to fill the lake on or before April 1, 2011,' stated Phillips." Rationing signals grim times for water out West, by Dan Keppen, Executive Director of Family Farm Alliance, 2/29/08, H&N. "...government regulations and court-ordered directives favoring fish over farmers will put the screws to San Joaquin communities this summer. Because farmland within Westlands Water District — ground zero in the current crisis — accounts for 20 percent of the $5 billion agricultural production of Fresno County (the nation’s No. 1 farm county), the potential economic impacts will dwarf the 2001 Klamath crisis." Columbia River: Salmon win in this dam legal battle, Capital Press editorial 4/25/08. "It's a fact that some environmental groups won't be happy until every dam is removed from every salmon stream and river in the West. Whether that's practical is, for them, not a concern. They simply don't seem to be willing to accept any alternatives. For them, it's an all-or-nothing proposition." PRESS RELEASE Reclamation : Klamath Project 2007 Operations Plan Released; Supplies Expected to Meet all Responsibilities, 4/9/07. "Reclamation has developed access to supplemental water of up to 100,000 acre-feet, if it is required, to meet Project needs...the WSES water comprises off-stream storage, land idling, and ground-water pumping." Growth threatens water, H&N 3/1/07. "Addington said irrigators are frustrated that the matrix gives them less water in average-water years than in low-water years." Oregon's water management plan, Oregon State Senator Doug Whitsett responds to above recommendation, 11/28/06 "Her (Mabbott's) proposals, taken as a whole, represent the largest expansion of Oregon’s police powers since the 1973 passage of Senate Bill 100, the land use planning statute. Six of her specific policy proposals appear to oppose the interests of agriculture and the interests of many municipalities." Project aims to mend lake shore, H&N, posted to KBC 7/3/06 "Mark Buettner, a fisheries biologist for FWS, acknowledged the lake level does not currently meet the biological opinion's requirement. But he said the agency has OK'd the temporary discrepancy, which was due to circumstances beyond Reclamation's control. Analyses by Reclamation and FWS conclude the current level will provide adequate sucker habitat this year." Interior and Yurok Tribe announce agreement to improve management of Klamath River Basin, posted to KBC 6/29/06. Bureau Commissioner John Keyes 'On Point', July 19, 2005, transcript. Whitsett has good reason to be wary, Herald and News editorial 6/8/05. "Rural Oregon should be afraid of such things because they put weapons in the hands of urban residents who have little knowledge about such things as agriculture and responsible use of resources." 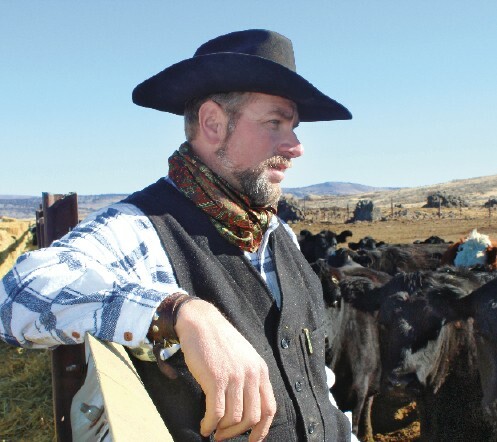 Alliance: ‘Mining’ ag water becoming default water policy for urban growth, Wyoming Livestock Roundup 5/7/05 "Quotes from Family Farm Alliance president Pat O’Toole and Chairman of the Board, Bill Kennedy on the importance of enhancing Western water supplies." Association of California Water Agencies (ACWA unveils water action plan for California, "No Time to Waste: A Blueprint for California Water" pdf file. HERE for summary. 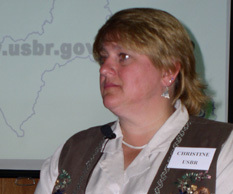 Christine Karas, Bureau of Reclamation, deputy manager of the U.S. Bureau of Reclamation's Klamath Falls office. PRESS RELEASE: Interior Secretary Gale Norton Announces Klamath Watershed Coordination Agreement, Office of the Secretary 10/13/04. Cal-Fed Authorization, NCWA-Northern California Water Association pdf., October 8, 2004. Klamath Basin Water Management, by Dr Doug Whitsett, AgLifeNW Magazine 7/19/04.